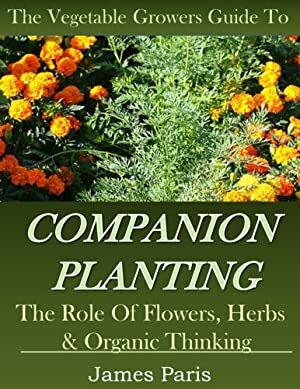 Companion planting, is something that goes hand-in-hand with organic growing methods, raised bed gardening and container gardening; and is something that every gardener should pay close attention to, if they want to get the best out of their crops without having to resort to using chemical fertilizers or pest control methods. Even if 'Organic growing' is not your thing, nevertheless companion planting should still be of interest, as it is all about getting the best out of your vegetable patch with regards to quality and quantity - and usually for very little effort on your part! The Vegetable Growers Guide to Companion Planting: The Role of Flowers Herbs & Organic Thinking. We started tracking this book on March 29, 2013. This book was $3.45 when we started tracking it. The price of this book has changed 106 times in the past 2,217 days. The current price of this book is $6.95 last checked one day ago. This book has been FREE 48 times since we started tracking it. The highest price to date was $6.95 last reached on March 9, 2019. This book has been $6.95 2 times since we started tracking it. We last verified the price of this book about one day ago. At that time, the price was $6.95. This price is subject to change. The price displayed on the Amazon.com website at the time of purchase is the price you will pay for this book. Please confirm the price before making any purchases.